Trash disposal is a traditional function of local government, so county waste-management ordinances can permissibly distinguish between private businesses and those controlled by states, counties, and municipalities. See United Haulers, 550 U.S. at 342, 344. Like the ordinances in United Haulers, the Horry County Flow Control Ordinance “benefit[s] a clearly public facility.” 550 U.S. at 342. [B]ecause no private landfills can be designated by the SWA, all private landfills are treated equally. 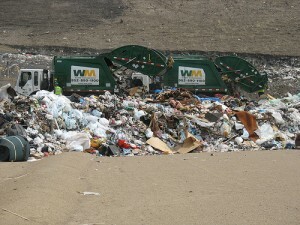 Furthermore, all private haulers are prohibited from transporting waste from Horry County to landfills not operated by or designated by the SWA. provides “a convenient and effective way to finance [an] integrated package of waste disposal services.” Id. at 346. The Ordinance creates a revenue stream through which the county can support waste management, recycling programs, and its 911 calling system. Although revenue generation alone cannot justify facial discrimination, United Haulers recognized that it can constitute a benefit under the Pike test. Id. The Ordinance also confers other “significant health and environmental benefits.” See id. at 347. Examples include public education about recycling, increased opportunities for recycling, and the operation of a green power facility that generates electricity using landfill gas. For similar reasons, the court rejected the operator’s equal-protection challenge because the operator had not shown that it had been intentionally treated differently than other similarly situated companies. Image courtesy of Flickr creative common license (without changes) from Redwin Law.